What makes a successful crowdfunding project? Any number of things, I’m sure. That’s the good news. A campaign doesn’t need to be 100% successful on all fronts to make its funding goal, it just needs to do enough things well enough. But a lot rides on certain key choices you make for your campaign. In the spirit of inquiry, I’ve conducted this–is it called a “postmortem” is it’s successful beyond my wildest dreams? -No, a friend reminds me the word I’m searching for is “debriefing”–this debriefing, then, of my Kickstarter campaign for The Starter Guide for Professional Writers. At first glance, the major difference between the two platforms is that IndieGoGo has a “flexible funding” option, while allows you to keep all funds raised even if the campaign doesn’t make its goal. Meanwhile, Kickstater’s approach is a more intimidating, high stakes “all-or-nothing” game. There are more subtle differences as well, such as the nature or end goal of the projects being funded. Kickstarter’s focus is narrower: the campaign must fund a specific project created by the campaign runner, and rewards must also be produced by the creator, preferably in conjunction with the creative project fundraising is for. Ongoing programs that are business as usual, without a set end date or outcome, can’t receive funding through Kickstarter. Because of these distinctions, I think my friend Zahara Hecksher is right to suggest IndieGoGo as the better platform for NGO and nonprofit work, but even then not in all cases. Kickstarter campaigns can aim to achieve charitable goals alongside creative ones, and in fact, Zahara and her co-authors’ project looks to me like something that would meet Kickstarter’s guidelines, if they’d wanted to go that route. A concern is Kickstarter’s requirement that projects meet the full funding goal to receive any funding at all. The effort and inconvenience of a crowdfunding campaign falling through for lack of interest is a setback for a creative project, but might spell disaster for a nonprofit many people are relying on. However, a Kickstarter “all or nothing” funding goal should be the lowest amount needed to get the project done–if the Kickstarter campaign doesn’t meet that minimum funding requirement, the project couldn’t happen anyway even with the amount it has managed to raise. This presupposes the Kickstarter campaign is the major or even only source of funding the project will get, and certainly can be argued. In contrast, IndieGoGo’s Flexible Funding lets the project get all donations, but the campaignrunner pays a higher transaction fee if it fails to meet its goal (and the minimum goal must be at least $500–much higher than a Kickstarter goal is required to be, if Kickstarter in fact has such minimums at all). A creative and, to my mind at least, reasonable middle ground is practiced by StartSomeGood, a crowdfunding platform specifically for charitable causes. StartSomeGood campaign runners set a portion of their ultimate goal as a “tipping point.” Without reaching the tipping point, the charity couldn’t go through with its project. Therefore, if a campaign doesn’t raise enough funds to meet the tipping point, no funds are dispersed–so far it’s all or nothing. But once the campaign funding reaches its tipping point, it gets to keep all collected donations from there on, even if it doesn’t meet its ultimate goal. Already you can tell the variety of crowdfunding platforms beyond Kickstarter and IndieGoGo: places like StartSomeGood for charitable causes, GoFundMe for more personal fundraising needs (including events, education, and medical expenses), the recently launched platforms Moola-Hoop and NaptimeStartups for women entrepreneurs, and a myriad of sites for Green projects: from Ioby–“in our back yard”–for local causes to Mosaic and Sunfunder which focus exclusively on investments in solar power. To choose the right platform for you, things like the mechanics of the site and ease of use are certainly helpful to know, and I’ll discuss those in the context of my Kickstarter campaign in a few paragraphs. But the most important question first is: Can this platform attract funders for me? As a writer, the comparison that comes to mind is booksellers. Say I (or, better yet, my publisher) is trying to find a place to sell my books. We intend to market our butts off to spread the word about them, but ultimately we’ll want to put our books somewhere interested readers will come across them even if they never notice our publicity efforts. Sure, some of my fans and all my friends and family will buy my book wherever it’s sold, just as your crowdfunding campaign should be able to generate some portion of its funding just through the strength of social connections. But past that point, I certainly hope my book is posted on Amazon! This doesn’t mean ruling out niche funding platforms like Mosaic or Moola-Hoop, though. Because if I’m writing a romance book, I certainly want it on Amazon but I also want it on AllRomanceEbooks. ARE doesn’t attract as many readers as Amazon in sheer numbers, but the readers it does attract are far more likely to be interested in my book, because it’s a romance and that’s what they’re there for. Many of the millions browsing Amazon might prefer blood curdling thrillers. Quantity or quality, one way or another your chosen site has to bring in enough people who are interested enough to fund your project. Of course, generating that interest, once you’re in funders’ sights, is your job. And so after that introduction on crowdfunding in general, here is my dissection of my actual campaign. Secondary goal: I also hoped my Kickstarter campaign would generate some work for me as a Manuscript Doctor. Offering reviews of short stories, opening chapters, and novels along with ebook and print copies of the Starter Guide as rewards, I effectively turned my campaign into a “storefront” for my services. This is in contrast to a “patronage” model where my rewards to funders would be more symbolic than substantive (a model I followed with my charitable IndieGoGo campaign to fund microloans at a small Ghanaian NGO). When it comes to a project I’m undertaking for profit, I prefer to offer people value-for-value. However, several funders did feel strongly enough about the work to give much more generously than required for their reward, including one of my personal friends and mentors who gave without choosing any reward at all. Although I’m not comfortable relying purely on a patronage model, I am very grateful for these funders and appreciate what they’ve helped me accomplish. Setting up the campaign: I committed a cardinal sin of Kickstarter. I did not have a video for my campaign. This stems from me doing the project entirely on my own, and not being a person with much filmography or video editing talent (or, indeed, any video camera besides my webcam). I didn’t have the necessary skills, equipment, or time. Perhaps I would have done better if I did use a video, but I’m satisfied with the results of this campaign anyway–over 700% satisfied, you might say. To reassure you all, one of the expenses my campaign funding will pay for is professional cover art! The best I can say about this is that it is fairly readable and thematically fitting (several of the books on the shelves, though you can’t see it, are my contributor’s copies, and the use of Courier font is even meant to reflect the Standard Manuscript Format which most writer’s markets require submissions to be in). But remember what I said about not having to be 100% successful at all things to have a successful campaign! Without much talent at images, and with a project that is based fundamentally on my use of my words, I set about polishing my words as though my life depended on it. Months before launching, I scribbled notes about the campaign in my notebook margins. Then I reshaped those notes into coherent sentences. I typed them up, then reread them onscreen, and then rewrote them. I left the campaign pitch and description of rewards to sit for a few days, then came back and rewrote them once more. And I did a final review as I entered the data into Kickstarter’s campaign set-up pages. Rewards: Given my storefront model, it was very easy for me to tailor my rewards to my prospective audience. There were really only two: the Starter Guide itself and my manuscript critiques. I offered ebooks at retail value–$5, a early preview deal of the ebook that now retails at $5.99 booksellers like Amazon and iTunes (the final manuscript of the Guide turned out substantially longer than I planned on during the crowdfunding stage). Print copies were $10, which is lower than current retail and includes shipping. Lastly, I offered signed print copies at $15. My first manuscript critique option, the “First Chapter Review,” was listed at $25 and included a free download of the ebook. Kickstarter reports $25 as the most common pledge amount, and it’s generally recommended that you have some options less than that, too (like the book copies). I offered a variety of critiques after that, with funding based on the length of the story, and all including a free copy of the ebook. Here, I’ve since gained some insight into my audience: critiques could be for short stories, novellas like my own Aqua Vitae, and novelettes (either short novellas or longer short stories depending on who you ask). Nobody took those crits as such. Instead, when they arranged critiques at those levels, what they really wanted was a critique of that number of words. So my novelette critique, meant for a short story of 16,000 words or so, is actually a critique of a 16,000 word excerpt from a longer story. There was some discussion with another funder about reviewing a short story of 4,000 words as a First Chapter, which we in the end decided against because my approach to whole stories is different from opening chapters (an opening chapter must make me want to keep reading. A complete story must make me glad that I read the entire thing. The second takes more effort to both write and review, though neither is easy). This is not a complaint. These funders’ projects are all exciting and I look forward to working with any portion of them (those I’m not already enjoying working on!). I simply forget, being a big novella fan myself, that many other readers and writers prefer the longer novel form. I might have a complaint about the tendency of new writers to write massive first novels (there’s an across the board tendency for stories to be significantly above 100,000 words), but that’s for the new writer’s sake–extremely long manuscripts from unproven authors have a hard time selling. Editing that extremely long manuscript into something shorter is absolutely doable, of course, and part of what I’m here to help with. Anyway, between the Starter Guide copies and the manuscript reviews there is a very rough breakdown between “low-level” funding and “Big Ticket” funding. As anticipated, most funders signed on at a modest level, while most overall funding came from Big Ticket items. This is epitomized by the fact that 70% of my funding came from one item, the Hero level Exhaustive Novel Edit. I’d designed this (at $350, though in the end it went for more than that because of the scale of the work the funder and I agreed to undertake) to carry the campaign on its own if need be. It did, although even without it I would have made my $200 goal more than twice over. Strategy: Crowdfunding campaigns can incorporate some very advanced promotional planning, as in this Sample Promotion Plan from StartSomeGood (in PDF). It pays off. Zahara was part of a team of 7 people who enacted a coordinated plan of media appearances and social media participation–along with more personal outreach, including emails–and raised over $10,000 in 60 days. I made posts to my blog and Facebook after meeting my goal (which happened while I was in a plane home from Vegas…for a funeral), as I approached stretch goals, and as I neared the close of funding. Some of my updates were shared by friends, and this produced a couple of referrals, but the vast majority of my traffic came from people who found me while browsing Kickstarter. Drive-by traffic–the “crowd” of crowdfunding–was vital to this campaign, delivering at least 18 pledges, including some of my most substantial. In fact, this is worth digressing on: remember how earlier I encouraged you to decide your crowdfunding platform based on the traffic it attracts? Very little is more frustrating to me, as a creative type, an admirer of entrepreneurship, and a passionate supporter of various causes, than to see a crowdfunding campaign crash and burn because someone overlooked a crucial component. I’m especially frustrated when the platforms themselves are the ones to drop the ball. Why load my book on NotAmazonBookseller dot com when I can sell it out of the trunk of my car at flea markets with the same amount of publicity support? GoFundMe seems to run on a model where the campaigners attract most of the traffic (I say this as someone who has come to GoFundMe with some frequency, but only by following a fundraiser’s referral–I never go just to browse). But it tends to raise money for small-scale, personal causes. In general, I want the platform to be attracting some traffic for me. They are so new that their website does not appear on the first page of Google results when I search for them–or more precisely, it does, but the site will not allow Google to display its content among the results. That’s currently what happens with my old Livejournal when you search my name–because I don’t want you to check out my outdated Livejournal, I want you to be here! Presumably Naptime Startups wants me to be on their website, but they do a poor job directing me there. The next Google result is their Youtube channel. They have a video explaining what they do–Kickstarter would be proud–but when I, not in the mood for a video, clicked their account profile to find their website link, their “About” section was blank. No link. They give the URL in the last frame of their 2-minute video. It’s not clickable. I am lazy and do not wish to type out URLs for the websites I visit. Alas, in this case I had to–because I cared enough to bother. An eager potential funder had to jump through far more hoops than she cared to in order to visit this site. This is especially troubling because this platform has employed experts for the purpose of coaching their entrepreneurs in marketing–and their competitor in crowdfunding for women, Moola-Hoop, is doing social media right. Moola-Hoop’s YouTube account links to their website. It also isn’t their first result, their website is–and their Google search results include much more detail about their mission and method. Okay, I’ll have mercy on Naptime Startups (after all, I have signed up for updates once they start funding, and I do want them to succeed), and on you. Here’s their website link: http://www.naptimestartups.com/. And the end of my digression, hopefully with my point well made. Let’s look at the origins of my funders, drive-by and otherwise. Demographics: During the first days of my campaign I was surprised but delighted at the strength of support from the D.C. area. People who found me after browsing projects by location were generous and interested donors–many of the funders who choose manuscript reviews came from within the D.C. Metro area. Is this because DC has an especially strong literary community? Or are my particular funders especially dedicated to supporting their community, including through crowdfunding? Or were they just browsing local listings out of curiosity, and my campaign description caught their eye? I would assume some combination, although it’s worth noting that my most generous funders were people who had already made many contributions to Kickstarter campaigns in the past. As my campaign succeeded based on “drive-by traffic” already present on Kickstarter, this doesn’t surprise me. I think it stresses the importance of having a well written description and a clear, attractive pitch (including images) to draw in people who won’t necessarily be familiar with you. The same goes for another segment: I received 3 pledges from users browsing the Nonfiction project listings, including my biggest pledge. I’m not certain how many people do or would search Kickstarter specifically for a guidebook for new writers, although I made sure to feature “writers” and “publish” in my pitch and description to make my campaign easy to find. None of Kickstarter’s currently trending #tags seemed relevant, but I would certainly check out trending tags before launching a new project in case there was a serendipitous fit. From social networks, I received 2 pledges from Facebook referrals, 2 through Twitter, and 3 more through other forms of referral traffic, which I think may include the Absolute Write forums where I frequent, and where I linked to my campaign in my signature. These 7 people included some I knew by name, some who I was recommended to by people who knew me by name, and at least one funder who isn’t even from the same country. Word of mouth paid off nicely, if not on the staggering scale of some Kickstarter campaigns. By far the biggest group of funders was my “Last-minute supporters,” who appeared in the final 30 hours. Two pledges came in response to Kickstarter’s 48-hour email (which reminded people who had starred my project as of interest that it was about to close), and another 10 came from users browsing the Ending Soon list on the site. Anyone with a struggling campaign should find this encouraging. I should note that all of these last minute pledges were at moderate levels, rather than Big Ticket manuscript critiques. But that hardly matters, given these were all complete strangers believing in my project enough to buy into it! These pledges on their own might have been enough to turn the tide if I was only $100 or so from my goal. An unanswered question is whether people were more willing to pledge because both my goal and my “stretch goal” had already been met–they were jumping aboard an already sure thing, which must appeal to the more risk-adverse crowd. I say this as someone risk-adverse myself. I do know the IndieGoGo campaign launched by Zahara’s group met its funding goal near or on the final day, but it was being funded by well over a hundred people and under a flexible funding model; in short, the guarantee was there for them, too. What helped me the most? Aside from the fact that Kickstarter and my campaign description were producing traffic, what helped the most in converting that traffic into pledges–and substantial pledges–was the messaging system. Whether or not I would describe myself as approachable (like many writers, I am shy; like many shy people, I am quite friendly once you show gentle interest in me), the fact remains that I am not infrequently approached by people on the various writing forums, websites, and social networks I belong to–seeking advice about writing and publishing, mostly. It’s part of why I decided to write the Starter Guide. That said, Kickstarter was no exception. Several funders, including my 2 largest contributors, contacted me first though messages to clarify rewards. In both cases the reward as stated didn’t quite fit their needs, so we proposed, counter-proposed, and even haggled a bit until we were each offering something the other was happy to accept. These talks with funders were invaluable in giving me perspective on what my audience wanted and helping them get what they wanted. I also love Kickstarter’s robust message system for the way it and the fulfillment surveys help me keep in contact with funders. IndieGoGo is not nearly so good at collecting contact information, and it doesn’t have a site-based message system either–meaning, if you enter the wrong email address as an IndieGoGo funder, the campaign runner might not be able to contact you afterwards (gulp!). With Kickstarter there’s no such risk of disappearing through the cracks; my funders and I can find each other anytime we like. With the help of funders major and moderate, my campaign neared $1,000, and I decided to add a Stretch Goal: something additional I could offer or accomplish with the extra money. My stretch goal reflects the “storefront” nature of my campaign: I went on sale. Basically, with $1,000 I would have enough financial breathing room to “pay myself” and offer my services as a manuscript doctor for 50% off to Kickstarter funders. This hopefully encouraged more people to sign on, and rewarded those who supported me whether or not they had a manuscript to review at the time. Part of the reason we made our stretch goal as early as we did (it would have been met with those last-minute supporters in any event) was because I started one of the manuscript critiques a bit early. I sent my Hero funder the first few chapters of her story with my comments, we had a 2-hour phone talk about them, and she was happy enough that she upped her pledge by arranging me to review more of her work. Kickstarter recommends you not fulfill any pledges until funding is dispersed, but in this case it paid off. We already trusted each other thanks to our messages and email exchanges. And, with my Kickstarter linking directly to this blog, she knew where I lived. Since the campaign raised over $1,500 I’m thinking I should add a “stretch goal” after the fact, probably another sort discount to my campaign funders. Perhaps people ordering print books will also get a chance to download the ebook, and those ordering the ebook might get a discount if they decide to buy a print copy. After the campaign ended, Kickstarter promptly deposited the collected funds in my Amazon Payments account. For the record, I still prefer IndieGoGo’s model (and Kickstarter’s model for UK and Canadian campaigns) of depositing funds into your bank account rather than using Amazon as a middleman, and I had some frustration with my Payments setup because of an odd looping glitch. But the glitch was cleared up after two or three distraught emails to tech support, and the swift deposit even outweighs the convenience of IndieGoGo’s direct payment, which still takes more than a week to process–when I raised money for microloans using IndieGoGo, I had to borrow several hundred dollars from myself in order to have the cash on hand before leaving for Ghana. Where do I intend to put that funding? Well, I’m currently negotiating professionally done cover art. I also have some funding set aside to pay for an expanded distribution plan of the print book through CreateSpace*, as well as some reserved for printing and shipping the books as part of Kickstarter pledge fulfillment. Lastly, while I am not a big believer in paid advertising in general, this campaign has produced enough that I may be willing to experiment with ads–I’m currently considering FaceBook and Ralan.com. *As I worked on this, CreateSpace changed their terms to offer expanded distribution for free. A pleasant surprise! Set your goal modestly. Get funded quickly! Stop worrying about all-or-nothing funding! Then move on to your stretch goals! Have some ‘guarantees’ on hand before launching your campaign. It’s just embarrassing to go through all the trouble of setting up a campaign page only to raise $5, especially if it’s an “all-or-nothing” site model (yes, I have seen campaigns that only raised $5, particularly on less-trafficked crowdfunding sites). I had my bet with Zahara, whose belief in me paid off. In the end she didn’t have to pay up–wise woman! As my campaign neared the $1,000 stretch goal, but also the end of the funding period, my Hero funder and I had a tacit agreement that she would step up with the rest of the funds if no one else did. I stress, though, that the latter case wasn’t a “bet” but rather a fortuitous arrangement–we’d already agreed that I would take on another of her stories provided we both liked each other’s work. And we did. In a job interview recently, I brought up my crowdfunding experience and my interviewer asked me what one thing I wished I could achieve better results at. The consistent challenge, for me–let’s leave video production aside–is generating word of mouth without becoming obnoxious to my followers (or fans, or supporters, or whatever the term for my audience may be in a given forum). With a few exceptions, I haven’t managed to create a project or project description enticing enough to get people shouting about it from the rooftops. Perhaps it’s a secret sauce. Perhaps there is no secret sauce. Figuring that “Ask not and you shall never receive,” I even closed at least one update with an explicit (hopefully polite) call to action for funders to spread the word about the project, but without much result. 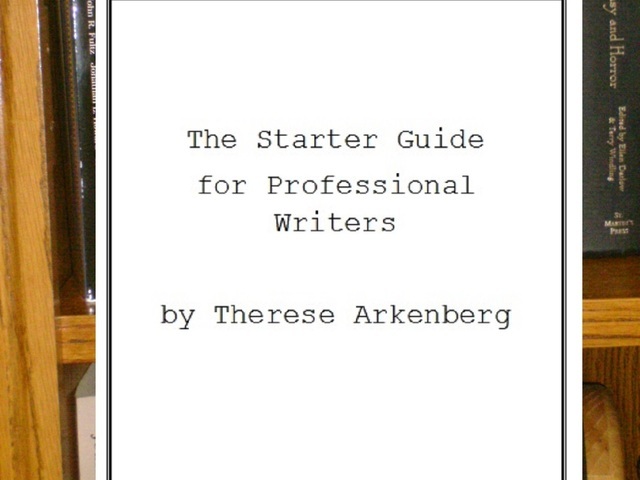 Perhaps none of us had friends that would be interested in a writer’s how-to guide? Writing can, after all, be a lonely job…yet on the other hand writers tend to congregate together. As I hoped, this Kickstarter generated several leads for manuscript critique jobs. Not only have I established a track record of pleased clients, but my campaign description also lead to someone contacting me after the funding period was over to ask about a query review. Lastly, doing this campaign has given me more solid experience in crowdfunding, not to mention a wealth of numbers to crunch. Some of this information is going back into the Starter Guide (which after all wouldn’t be complete without a section on crowdfunding for self-published books! ), and some is being shared in reports like this one. I hope this proves useful. Feel free to comment with further questions, your own observations, thought experiments, or perhaps a defense of Naptime Startups’ social media approach (they’re new, of course, and may even have fixed the problem by the time this post goes live. For their sake I do hope so). You may also point out my hypocrisy in bemoaning new authors’ overlong manuscripts while producing a blog post of multiple thousands of words.